When you pick up Samsung Ativ Odyssey in hand, it becomes clear that Samsung hasn’t gone in extreme detail while designing this phone. The plastic structure and oval shape of device make it safe but it doesn’t stand out in the competition of other mid-range smartphones. Odyssey’s surface feels extremely slippery. Though our statement is extremely bold the real fact is that it looks very cheap. Rather than plastic we more prefer the high grade metal or polycarbonate material employed in the other Windows Phone like Nokia Lumia 920 and HTC 8X. While build quality, body, camera and screen all demonstrates Odyssey as non-premium Windows phone, from inside it actually share plenty in common with other premium smartphones such as HTC and Nokia. Windows phone are always designed to operate well on range of hardware, Odyssey successfully delivers that as the performance is smooth and slick. User will not face any hassle in playing videos, playing games and browsing on the web. Somewhat problematic what we observed about this device is its 8GB storage. But this flaw is mitigated by presence of microSD card slot which a user can extend up to 32GB if he really desires for it. The best thing about Odyssey is its long lasting battery. If we play videos on HTC 8X at half brightness, we can get around 6 hours of battery. Following same thing with Samsung Ativ Odyssey, we get more than 12 hours. Though it may surprise users but they will surely face no problem at all while going with couple of days without charger. It rarely happens with high end devices but Odyssey is truly peerless. 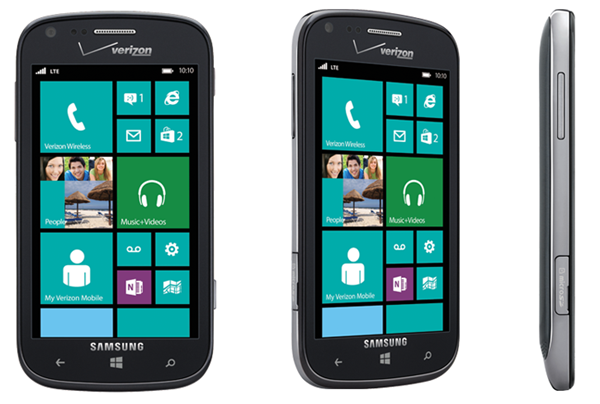 Samsung Ativ Odyssey is highly compact and provides Windows Phone 8 UI and 4G LTE. However, its small screen, 5MP camera and mediocre design will not know user’s socks off. When a user talks about multi functionality, Odyssey is just a perfect device in reasonable price. If your eyes are on Nokia Lumia 920, Odyssey cannot compete. But in case you are thinking about Lumia 820, then Odyssey should be the priority. So out of all budget friendly device, Samsung Ativ Odyssey is just a perfect one. The Samsung Ativ Odyssey delivers a reasonable but not much exciting Windows Phone 8 experience, which is just fine for a new smartphone user. The device does awesome job of offering extremely slick OS without any lag. Besides this, Verizone;s 4G LTE looks after the data usage and quality of calls. After considering company’s consistent Android success, we hope it to better with Windows Phone 8 also. But whether Odyssey will meet the company’s expectation or not, only time will tell.